My apartment has all the conveniences of a city just two blocks away, yet it’s sheltered from traffic noise by trees and a landscaped courtyard, and is bordered on two sides by a natural desert landscape filled with wildlife. 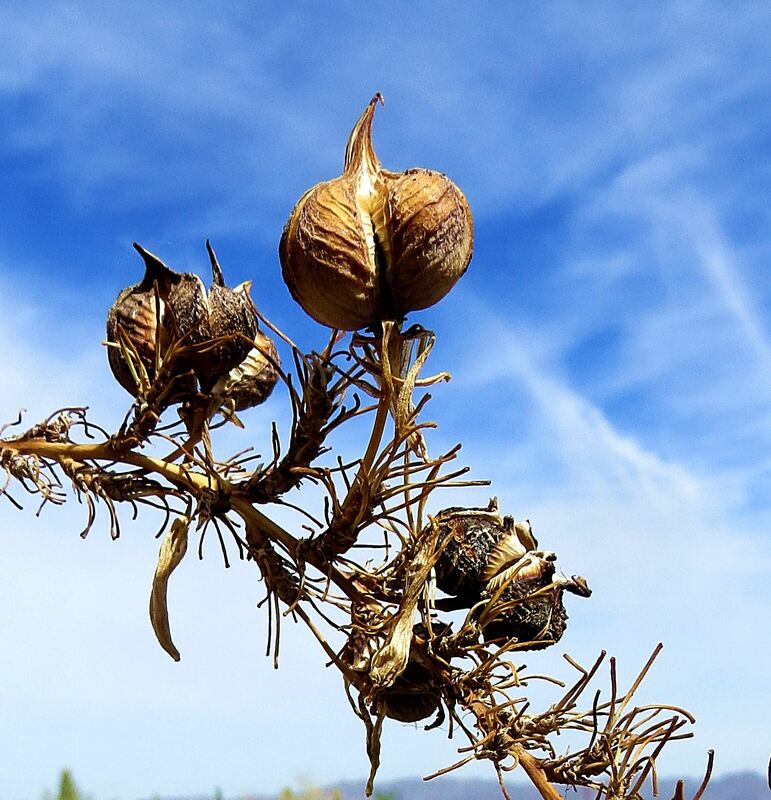 Seed pods against the desert sky. I see Gambel’s quail skittering between the saguaro and ocotillo cacti and am serenaded by mourning doves, song birds and a great horned owl on a daily basis. A pair of Cooper’s hawks are nesting in a nearby near tree and yesterday morning I spied a bobcat on the edge of the apartment’s parking lot. Tucson, I’ve discovered, is a place where civilization and Mother Nature coexist better than any other place I’ve ever lived. And here in the city’s Catalina Foothills that I now call home, most buildings have been designed to look like they belong to the landscape. I truly am falling in love with Tucson. 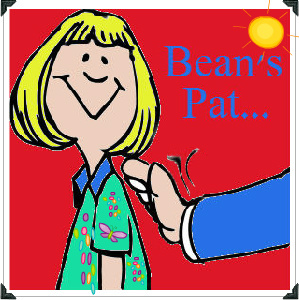 Bean’s Pat: Life in the Bogs http://tinyurl.com/bwlykyh And speaking of Mother Nature, she lives in Robin’s bog, too. My wife and I love Tucson and are driving their in our RV in about a week. If you feel like meeting us for coffee or lunch, let me know. Yes. I would love to meet you and your wife for coffee. Oh, good. I’ll be in touch as our schedule gels. Never been there, but I love your descriptions. I had a friend who lived there for 5 years and he enjoyed it too. 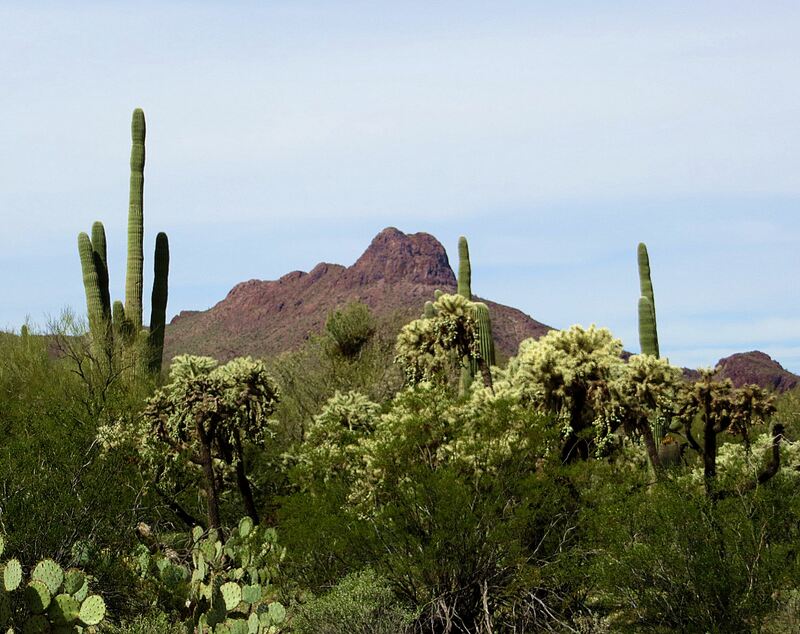 Pat, Thanks for reminding me of how Tucson and the Sonoran Desert look and sound in April. My parents lived near the Rillito in the Old Fort Campbell neighborhood for 26 years, so I have many memories of birding and looking for wildflowers the foothills where you now live. You’re welcome Susan. I love it more each day. I feel lucky that I chose it. Thanks for commenting. I was really nervous about settling somewhere because no place called out to me as this is where you’re supposed to be. I had to be here for a bit before I accepted that I had chosen right. Thanks Robin. I have planned on going to Tucson with my RV, but never made it there because of job opportunities. I still hope to get their someday. I hope you make it Teri. I’m glad I did.